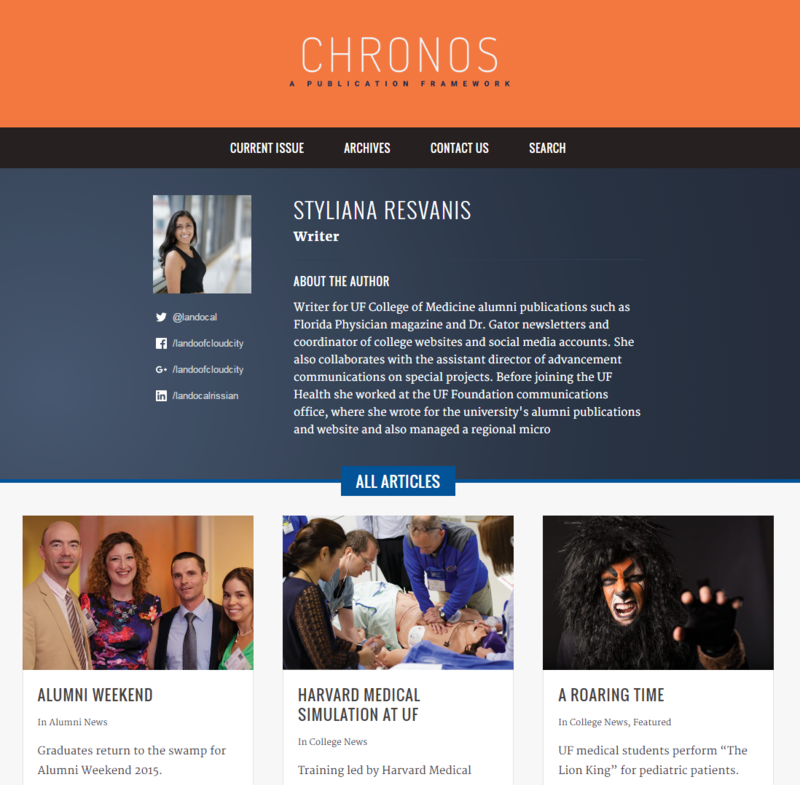 Chronos is a publishing framework that offers an easy-to-use online magazine publishing integrated into WordPress. 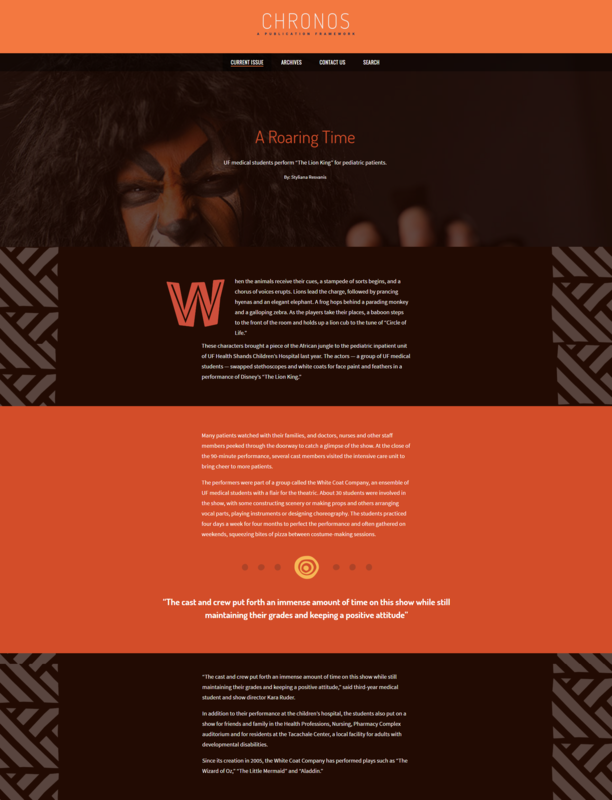 Chronos is a theme for WordPress that assists with creating an online magazine. 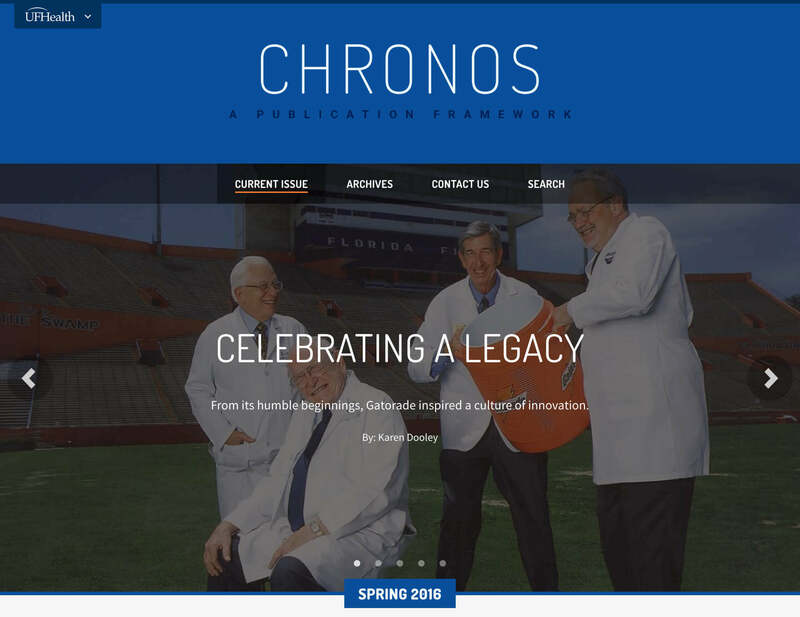 Best of all, Chronos offers its users the ability to easily customize much of the layout and the look of their magazine, all without leaving the WordPress dashboard. 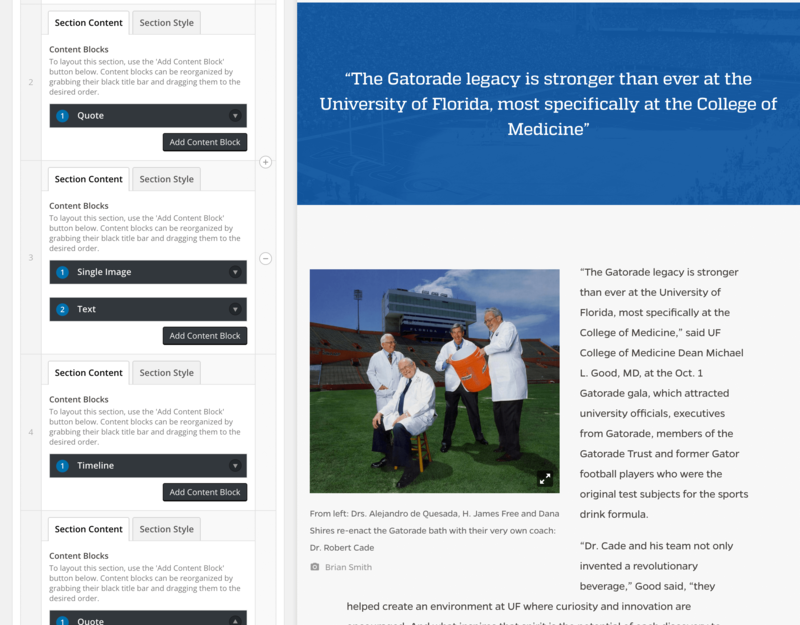 Combine text, images, quotes, videos, timelines and more to design your articles. Customize colors, typography, alignment, styles, and more with the advanced article designer. Each articles can be uniquely expressed, or published quickly without any setup using the default settings. Choose, combine, and organize article layouts to create unique issue pages. 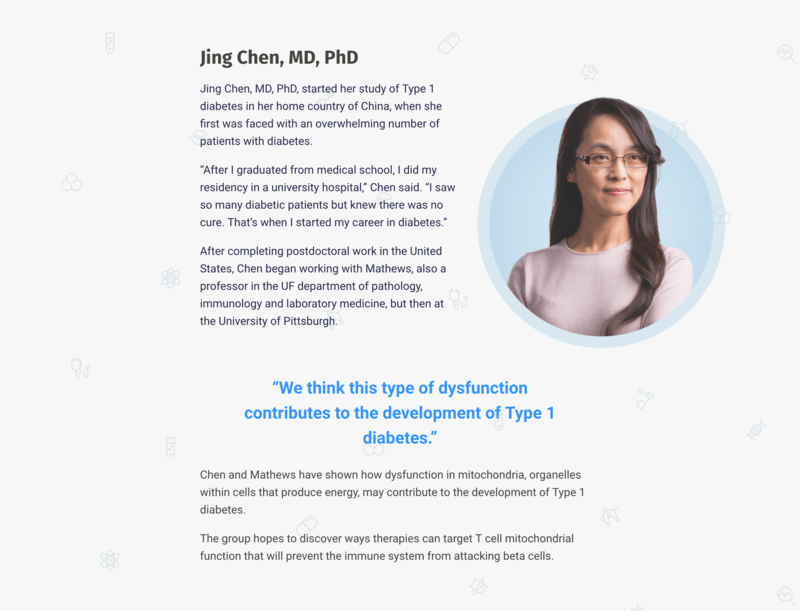 Chronos has four layout styles for featuring and listing articles, as well as options to call attention to events, feature categories, or list issue notes. Use live previews to see your changes as you design and lay out your content. As you edit, Chronos will watch for changes and refresh the split screen preview to the right of the editor. Get instant feedback — no more switching tabs or windows. 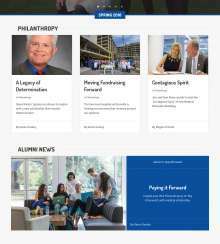 Use Chronos to create publications and articles that adopt the new UF brand, including official the colors, fonts, and aesthetic styles. 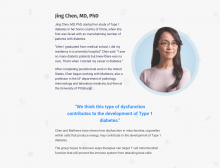 The author profile provides a space on the publication’s site for a professional profile with an area for a small biography, their portrait, and a list of social media contacts. 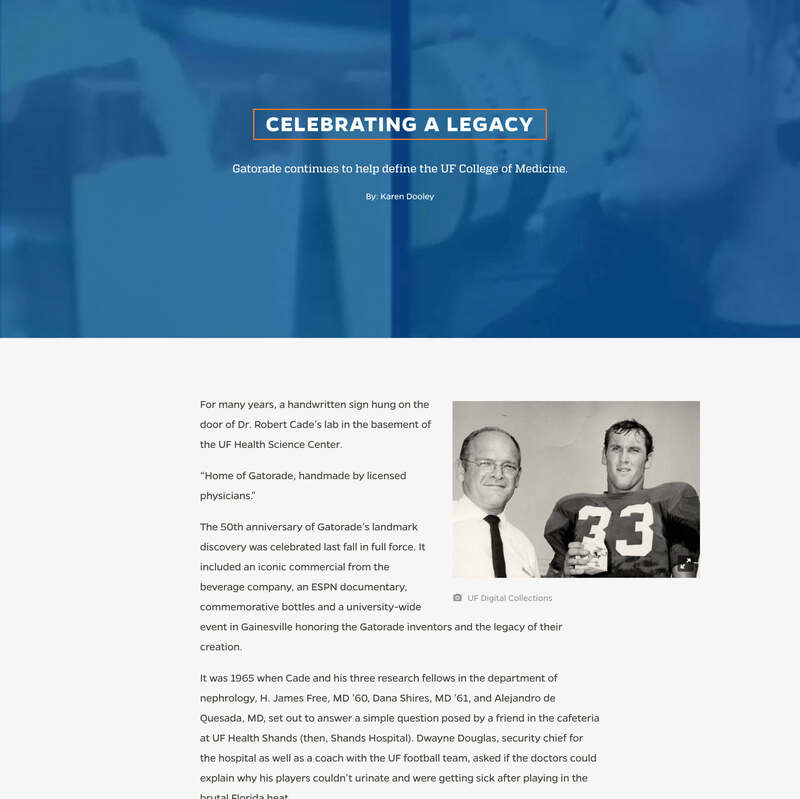 In addition, as the author’s articles are published, they appear below the biography as an archive of their past work. The modular design of Chronos’ Article Builder presents you with a number of options that allow you to completely tailor the look of each article and sections within the article. From adding a video to your article’s header or adding custom section backgrounds and images, Chronos has the tools you need to make your content rich and dynamic. Chronos – Quick Start – This will quickly guide you through the main steps of creating your first publication and acts as a handy reference for color palettes and font combinations. Chronos – Sections – A quick reference on the components of a section. Chronos – Appendix – Larger examples of color palettes, font combinations, and image dimensions. 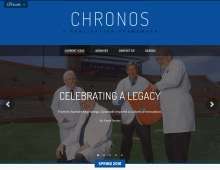 Chronos – Manual – The in-depth “How-to” guide that covers the basics of Chronos is more detail.